By hosting the World Football Championship, kicked off by Vladimir Putin on Thursday afternoon, Russia is preparing to attract the world’s attention for over a month. A unique soft power tool, the World Cup is about more than just sports. Reflecting the geopolitical tensions currently at play on the international stage, the World Cup will be carefully scrutinized by both sports commentators and political and economic analysts. 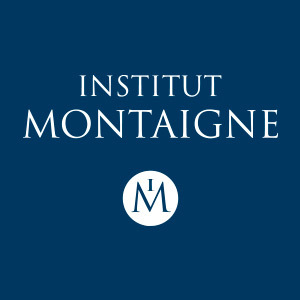 Dominique Moïsi, Special Advisor to Institut Montaigne, explains the stakes involved in this highly anticipated sporting event. In what context did the World Cup open in Russia? The global celebration of emotions that this popular sporting event represents is not devoid of a geopolitical dimension, which it would be a shame to dismiss. A first observation concerns the absence of the two main global powers - the United States and China - and that of the planet’s second largest population, India. On the other hand, two continents subject to multifaceted internal crises are over-represented in the competition: Europe and Latin America. What do Germany, with its contested leadership, Spain, divided by the Catalan crisis, France, nostalgic of its 1998 glory, or Brazil, healing the wounds of the Petrobras scandal, have in common? The firm ambition to stand out during this competition and, why not, to win. The World Cup therefore allows to compensate and balance the existing relations between nations. Who can forget the Icelandic frenzy of 2016 and the change in the way the country of 330,000 inhabitants perceived itself once it had qualified for the quarter-finals? How could one not be jealous of Egypt, which, although economically depressed and politically weak, found in Mohamed Salah a hero able to inspire dreams to the Muslim world? After the Olympic Winter Games in Sochi in 2014 - among the most controversial in history - what does Russia aspire to by hosting this World Cup? The World Cup will undoubtedly enable Russia to sweep away topics causing geopolitical tensions and to forget - temporarily - the sanctions to which it is subject. While Russia may not have America’s military power nor China’s economic power, it intends to be the center of the world, at least for as long as this World Cup lasts. The country of tsars seeks to appropriate the soft power that the United States has lost since Donald Trump’s election. At the same time, while Americans are disengaging from the Middle East, Russia is proving to be a crucial player in the medium-term settlement of all the region’s current crises (e.g. the Iran nuclear deal, the resolution of the Israeli-Palestinian conflict or the conflict in Syria). In this regard, the Russian stance in the Middle East is relatively close to the European one. The time to lift the sanctions affecting the country might not have come yet, but the emotions sparked by the sporting competition will certainly coax European opinions. Russia would therefore no longer be the destabilizing country seeking to influence democratic processes via the Internet, but a country that provides security and tackles the hooligan issue during the World Cup (police officers from over 30 countries are gathered in an International Police Cooperation Centre (CCPI) to avoid crises). Are politics and sport irrevocably linked? Angela Merkel and Emmanuel Macron have adopted a significant political attitude by agreeing to travel to Russia if their teams reach the semi-finals. This might not reflect unconditional support, yet is far from the 2014 calls for boycott. This move confirms the new way many European countries perceive Russia. Europeans are now more worried by the crisis in the Atlantic alliance than by the Russian threat, as the latter has become a key player in conflict resolutions in the Middle East. Russia thus benefits from its recent geopolitical successes. Finally, it is the triumph of Russia and the defeat of a forgotten Ukraine, given that it has failed to defend its cause and has faced many domestic political challenges. The opening match of this World Cup, opposing Russia to Saudi Arabia, is in reality of little sporting interest, and is far more of a symbolic event. More broadly, the Russia of 2018 is not the competitor of 2014, which gave itself the means of its ambitions, by organizing a doping system and spending nearly €36 billion in the organization of the Olympic Winter Games. The result was paradoxical: triumphant from a sporting standpoint, with 13 gold medals, 11 silver and nine bronze, the country came out morally discredited. In 2018, Russia has little hope of qualifying its team, but its image has improved significantly, and the country is now seen as one gradually rehabilitating the international system. The case of Crimea is very telling. If its annexation in March 2014 caused the cancellation of the G8 in June of the same year, this region now seems totally anchored in Russia. This situation has not sparked any serious foreign contestation. Sport has the merit of counterbalancing geopolitics, sportsmen becoming real ambassadors responding indirectly to the identity questionings of certain populations. This would explain Italy’s trauma when it failed to qualify for the World Cup in the midst of domestic political turmoil. To a lesser extent and despite the non-qualification of its national team, China will indeed be present on the football fields this year, as Chinese companies have decided to sponsor a sporting event abandoned by Western brands. We recently learned that the organization of the 2026 World Cup will be the responsibility of Mexico, the United States and Canada, which have applied as a trio. This (sporting) decision raises many (political) questions. Donald Trump is speaking of ending the North American Free Trade Agreement (NAFTA), which gather the three countries of the joint application. Sport and politics: 1-1, it’s a draw? One thing is certain, the outcome of the geopolitical match currently unfolding is far from easy to anticipate.